Yesterday, I took a break from painting to make a new pair of freeform peyote beaded earrings. 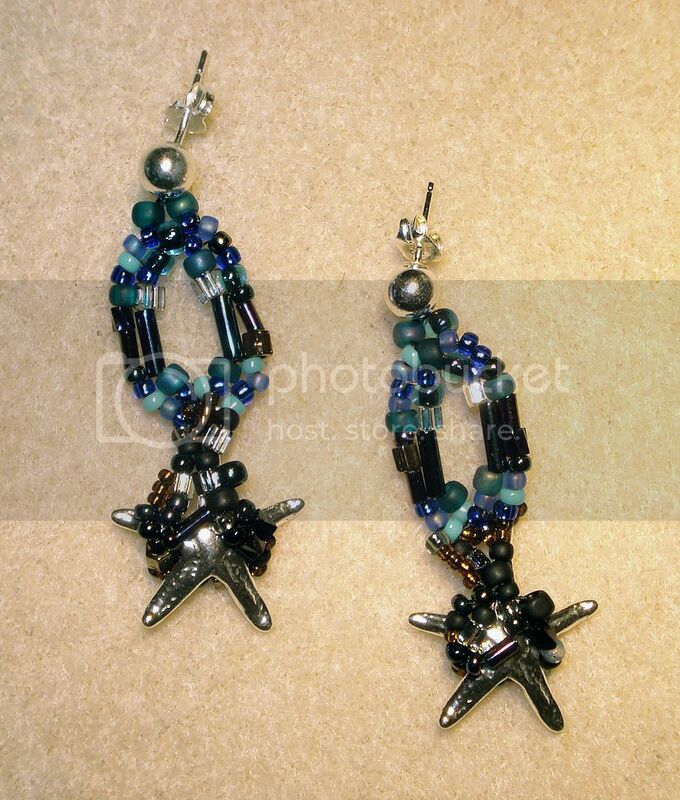 These are my second ‘Trapped’ jewelry piece, inspired by the freeform beaded starfish necklace listed in my Etsy shop. 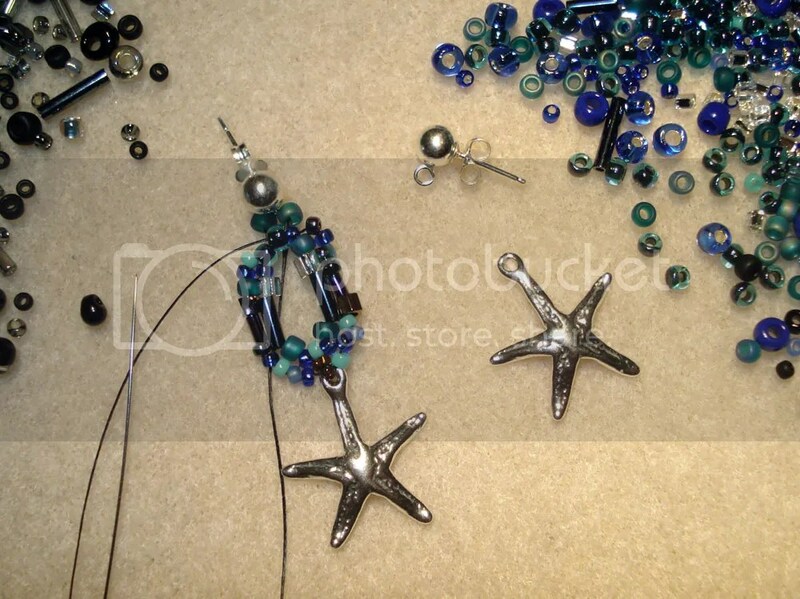 I used sterling silver starfish charms I purchased from Artbeads.com, sterling silver stud earring findings, and a mix of blue & black seed beads. The blue beads represent the water on the Gulf Coast, and the black/metallic seed beads represent the BP oil spill. The innocent starfish are trapped in this mess, and will not make it out alive. How does this make you feel? Trapped. Freeform Peyote Beaded Earrings. 1.75″. As soon as I take some more photos, I will list these for sale in my Etsy shop. But before I do that, I’m going to enjoy my Sunday by spending the day at the beach. Hopefully, I will see some living starfish as well as other interesting sea creatures!